The Indian Bank Previous year Question papers for the post of Security Guard has been uploaded here. Applicants who are going to attend the Indian Bank Security Guard exam can download Indian Bank Model papers for better preparation. Along with this, you can also check the exam syllabus, selection pattern with additional details. Go through the complete article to get the information on the Indian Bank Security Guard Exam. In this page, precious information regarding the Security Guard for Indian Bank has been provided. Those who are interested in applying for the Indian Bank Security Guard exam can download the IB Security Guard exam papers. The applicants can use these IB model question papers for reference purpose. Recently, Indian Bank has published a notification for the recruitment of Indian Bank Security Guard post to fill 64 vacancies. The desirable contestants can use this chance to get Indian Bank Security Guard job. Before going to start the IB exam preparation, it is better to refer the Indian Bank exam pattern and syllabus. The candidates can find the Indian Bank solved question papers and exam pattern in below sections. The Indian Bank Security Guard model question papers are very helpful to enhance their career in this field. The written exam is of Objective type. It will be available in English/ Local Language. The total number of questions is 50. The total marks for the written test are 100. The candidates are given 90 minutes to complete the exam. The applicable candidates can obtain the selection criteria for the Indian Bank Security Guard here. Based on the selection Process, candidates can have a preparation plan. The selection process consists is shown as follows. The candidates should go through the syllabus to get awareness of various subjects. Check the complete syllabus and prepare for the Indian Bank Peon exam. The candidates who wish to write the Indian Bank Peon exam can download the Indian Bank Security Guard old papers from this post. If you practice last 5 years question papers of Indian Bank Peon exam, the candidates will get an idea of question paper pattern. In addition, you can also know the weightage given to each section. The aspirants should prepare well for the Security Guard exam of Indian Bank. The contestants should also make a list of important topics from the Indian Bank previous question papers. Practice the IB Security Guard Old Question papers regularly to remember until the day of the exam. Focus more on the repeated model concepts from the Indian Bank Previous year Question papers. Many individuals are enthusiastic about the job in Indian Bank for the post of Security Guard. These people can get the Indian Bank Security Guard practice papers and exercise them daily. Here, in this article, we have also provided material for the Indian Bank peon written test. Solve more Indian Bank pre-question papers to crack IB peon written test. As there is a huge competition, everyone should practice the security Guard solved questions papers to get good marks in the IB Peon exam. By referring the Indian Bank Peon solved papers, candidates should make a preparation plan on common questions from all the IB practice papers. 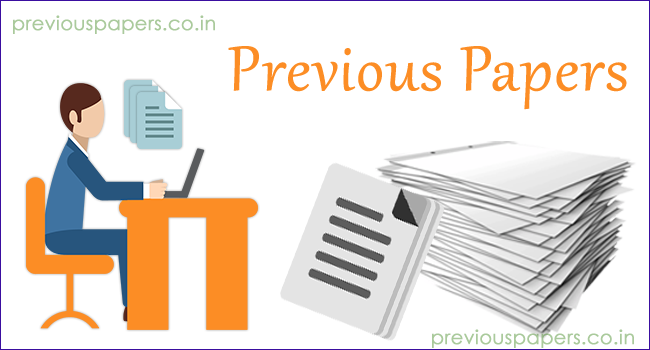 Check the Indian Bank Previous year Question papers pdf files links below. These papers will be helpful in getting an idea about the IB peon exam. Hence, we suggest the candidates, to prepare for the exam by using the IB peon solved papers without fail. Also, you can visit the official website for more IB Security Guard exam sample question papers which was indicated above. The aspirants can also visit the Official webpage www.indianbank.in for other details.